Which are the world’s tallest constructions to date? This is probably one of the most frequently asked questions on the internet. If you have toured several parts of the world, you have probably seen some very tall constructions and you think that they are the tallest constructions in the whole world. Well, according to the Council on Tall Buildings and Urban Habitat, an independent body that certifies buildings and constructions as the ‘world’s tallest’, a building can only be classified as the tallest if at least 50% of its height has floor plates that contain a human-habitable floor area. What this means therefore is that a construction that does not live up to this criterion will be defined as a tower and not a building. Following is a list of the tallest buildings and constructions in the whole world as per the Council of Tall Buildings and Urban Habitat. This is undoubtedly the tallest construction in the world yet. It is a skyscraper building in Dubai that finished its construction in 2010. It has over 200 storeys and measures 828m and 2,716ft. This is one of the constructions that attract thousands of tourists to the United Arab Emirates year in year out. Considering the fact that the weather in Dubai is always very forgiving for the tourists, thousands of tourists will board a plane any time of year just to see and touch this building that stands stately in the beautiful Arab Country Dubai. 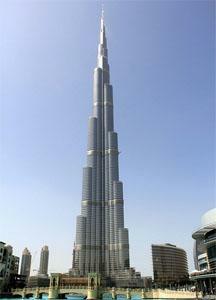 This is the second tallest building in the world standing at a whopping 553.3m (circa 1,815ft) tall. It was the tallest free-standing construction in the world on land, dating back to 1976 before the Burj Khalifa outshone it on the 12th of September 2007 as its construction was on going. Even so, The CN tower in Toronto boasts the second highest observation deck in the world which stands at 446.5, (1,465ft) tall. It is also a must-see structure for tourists in Toronto considering it is evocative of the rich architecture that Canada has been known for. Third in line of the world’s tallest constructions is to be found in the beautiful country Malaysia, in Kuala Lumpur. This construction has spurred a great deal of controversy in the sense that some people believe it should be the tallest constructions in the world, considering a significant part of its foundation submerged in water. 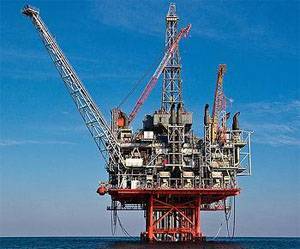 Actually, in 2007 the Guinness world Records reported it as the tallest, freestanding construction off the sea floor in the world. Controversy surrounds whether the part submerged under water should account for its total height or not, and it is estimated that it stands 610m (2,000ft) off the sea level. These are the leading world’s tallest constructions in the world yet. With the changing technological advancements, it is only a matter of time before new constructions find their way. The supremacy of these constructions has made the countries in which they are located instant tourist spots and hubs, attracting thousands of tourists each year just to get a picture of the world’s tallest constructions. Kelly the author of “Exploring the world’s tallest constructions” is a financial and travel writer that provides plenty of tips to help you make your life easier and more enjoyable.